Toyota is going to give the world another preview of its upcoming fuel cell hybrid vehicle at the Frankfurt Motor Show with the FCV-R concept. The FCV-R concept is a preview of Toyota’s first hydrogen-powered, zero emissions vehicle that will launch in Japan, the USA and Europe by 2015. Toyota originally unveiled the FCV-R concept in 2011 and next month it will demonstrate a) how it has overcome barriers to developing a marketable fuel cell vehicle and b) how it is closing in on its goal of achieving a driving range and performance comparable to conventional engines. 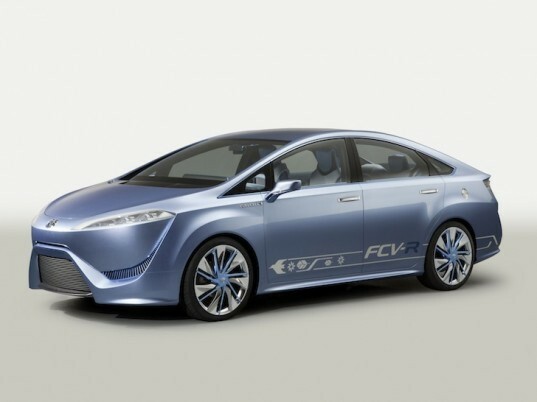 The FCV-R concept’s powertrain builds on the same Hybrid Synergy Drive as the Prius, but its four-cylinder engine has been replaced with a fuel cell and the conventional fuel tank with high-pressure hydrogen tanks. 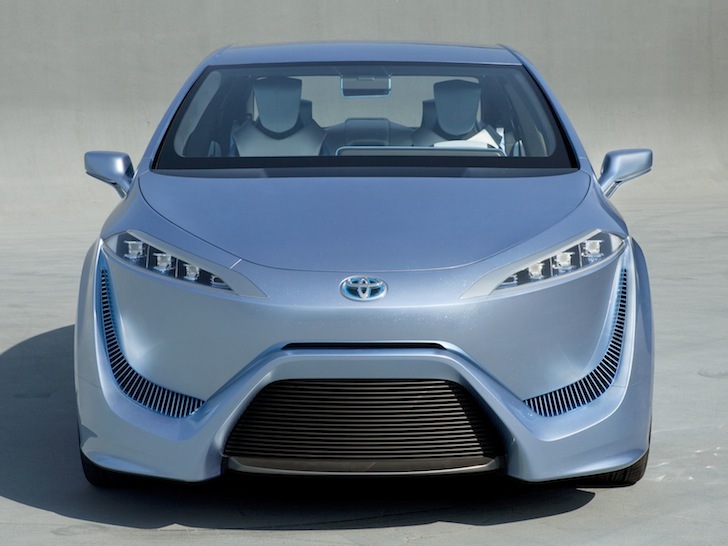 The FCV-R concept has achieved a maximum driving range of 420 miles and Toyota expects FCHVs to reach full mass-market commercialization during the 2020s. Toyota is going to give the world another preview of its upcoming fuel cell hybrid vehicle at the Frankfurt Motor Show with the FCV-R concept. The FCV-R concept is a preview of Toyota's first hydrogen-powered, zero emissions vehicle that will launch in Japan, the USA and Europe by 2015.